CPSE ETF Further Fund Offer 4 (FFO 4) ipo is going to hit the market on 19 March 2019. The anchor investors bidding is on 19 March 2019. CPSE ETF FFO 4 to start from 19-March-2019 and close on 22-March-2019. Reliance Nippon Life Asset Management has filed Scheme Information Document paper with SEBI for CPSE-ETF FFO-4. The CPSE ETF 4 to raise around 3500 crore from FFO. Minimum Investment starts from Rs.5000 and then after in multiples of Rs.1. Government already raised 17,000 crore via CPSE ETF 3rd tranche in November 2018. 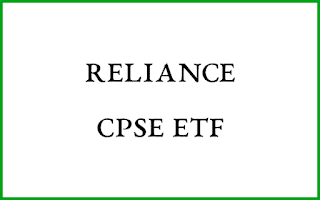 CPSE ETF includes ONGC, Coal India, IOC, Oil India, PFC, REC and Bharat Electronics and it is managed by Reliance Nippon Life Asset Management Limited. Having more than 52% government holding (stake via Govt. of India or President of India) under promoter category. CPSE ETF IPO-4 TODAY OPEN PROMOTORS NAME?